Flexibility is important when considering your marketing strategy and how you want to communicate your brand. You need to be able to reach as many customers as possible with ease. 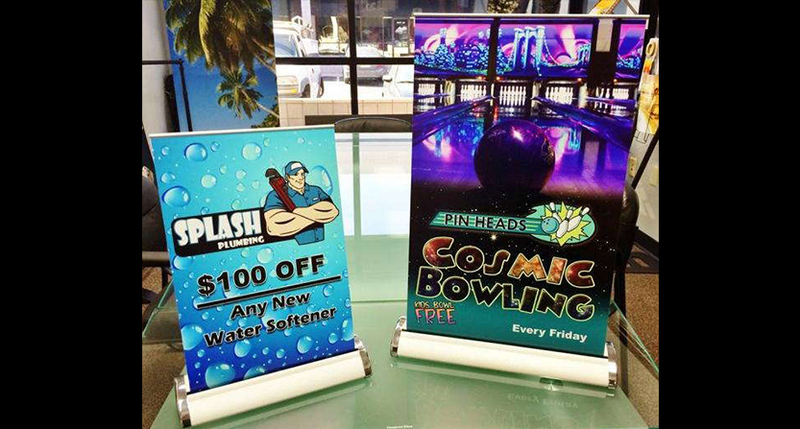 One product that provides both versatility and impact is a retractable banner stand, and SpeedPro Imaging Sacramento knows plenty about this option. 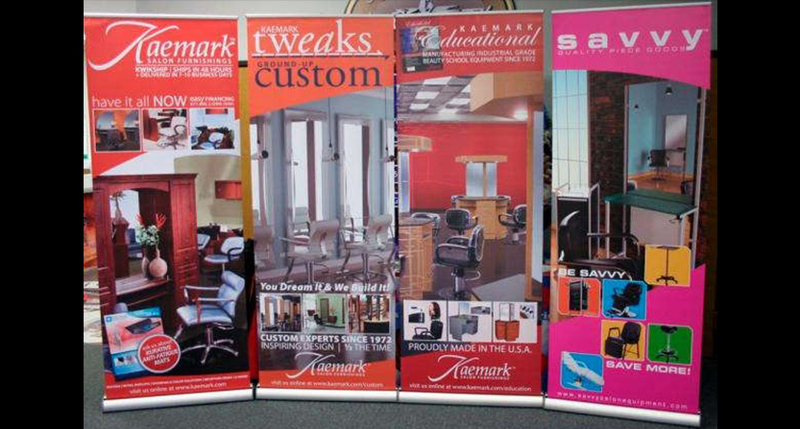 Our staff maintains the support of the biggest large format graphics producer in the country. With that comes the use of top-tier printing technology and industry-leading materials that ensure you’re getting attractive, functional, long-lasting products from us no matter what you choose. 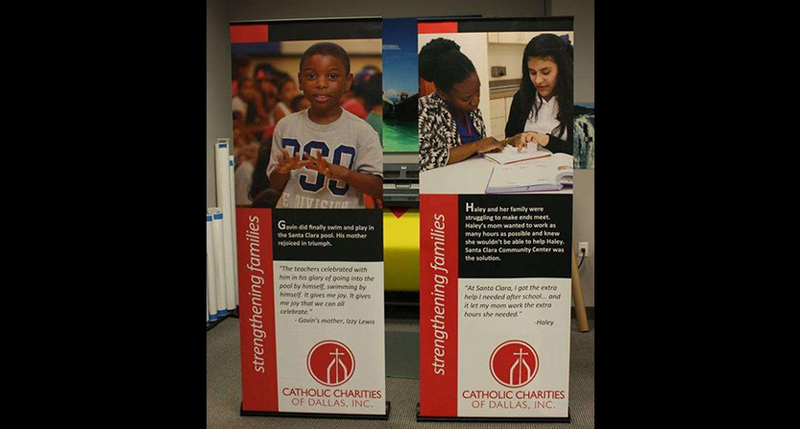 Our retractable banner stands come with a variety of styles, internal mechanisms, carrying bags and metal gauges, and our visual communication experts are prepared to discuss each and every one of them at-length with you. We believe in providing clients with solutions, not excuses, so we’ll go over your exact needs and work to understand your vision for the graphics. These graphics can be used in a variety of different business settings — like hospitals, universities, sports complexes, shopping malls, casinos, real estate agencies and many more. The banners themselves will display high-resolution images that will have no problem drawing eyes, no matter what size you need. We’ll use the best color-matching processes so that they vibrantly match your company’s palette while pairing with your other branding elements. 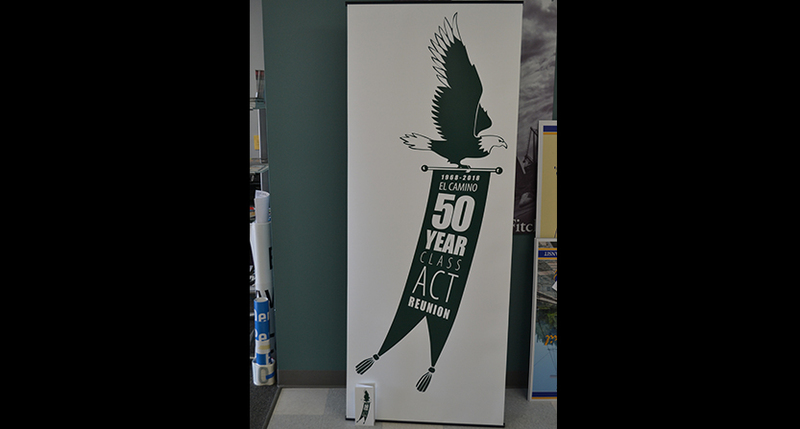 Graphics and their stands can be made into small tabletop displays or huge backdrops for trade show displays. The hallmark of these products is that they’re lightweight, portable and easy to set up, regardless of size. Transporting them in your van, storing them in the closet, carrying them up the stairs — whatever you need to do with them — will be easy because of these qualities. Choose from retractable, telescopic and spring-back styles, which all have their own uses. Our models include economy, standard and premium. Premium models cost more but feature stronger metal, better internal mechanisms and more durable carrying cases. They can easily handle heavy travel and frequent conversions. Economy models provide a cost-friendly option but aren’t suited for the same kind of wear and tear that other models are. They’re strong options for events that feature few setups and limited travel. 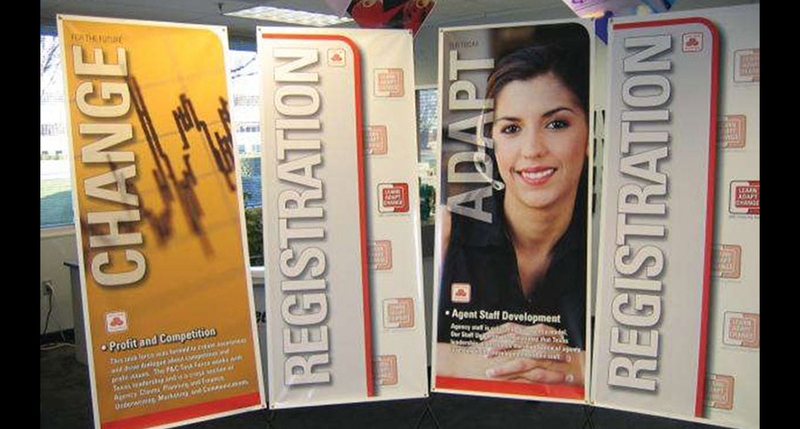 If you need portable, customized and retractable banner stands for trade shows or the lobby of your office space, SpeedPro Imaging Sacramento can supply them to you. We service Sacramento, Placer and El Dorado counties, so stop by our studio, which is located near White Rock Road and Prospect Park Drive in Rancho Cordova. You can also contact us today to schedule your consultation — we look forward to it!